Summary: Dr. Luke has issued a statement to rebut Kesha’s recent New York Times profile. Music producer Dr. Luke (Lukasz Sebastian Gottwald) wants to clear his tarnished name. In the lawsuit filed by his protege Kesha, Dr. Luke has been accused of sexual and emotional abuse, feeding the young singer drugs, and forcing her to stay skinny. This week, those allegations resurfaced when Kesha was profiled in the New York Times. Fed up, Dr. Luke issued a statement. In her New York Times profile, Kesha, famous for hits like “Tik Tok” and “Die Young, talked about the lawsuit against Dr. Luke that she had filed in 2014. 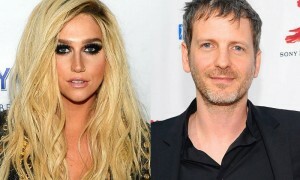 While the public and singers such as Kelly Clarkson have taken Kesha’s side, Dr. Luke said that her claims are all lies. Kesha and Dr. Luke had been embroiled in their legal battle until recently. She had been seeking to break her iron-clad contract with the producer, and because of the litigation, she had not released anything during that time. However, Dr. Luke said that it was her fault that she had not released new music, not his. When Kesha filed a dismissal of the lawsuit earlier this year, she also submitted 22 tracks to fulfill the terms of her contract. Dr. Luke did not say when the tracks would be released, but he made it clear that it was in everyone’s economic interests to release the album. Kesha also said to the New York Times that she was pressured to starve herself and that she was suicidal. Dr. Luke denied that he had forced an eating disorder on her.